Looking for a metal stamping solution? Tempco Manufacturing is your answer. Not only do we have the equipment for your metal stamping needs, we also have the secondary capabilities to produce turnkey products that meet your requirements. We are your one-stop shop for precision stamped metal components! 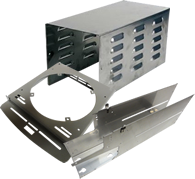 Our custom sheet metal fabrication processes use top-of-the-line equipment and extensive knowledge to fabricate high-quality precision parts. We have the ability to laser cut, CNC turret punch, form, weld, and install hardware, all in-house. If you require a finish or any other secondary services on your product, Tempco can use one of its many proven supplier partnerships to provide you with a complete product! Tempco can weld all your metal components. We provide spot welding, MIG/TIG/arc welding, and robotic welding. Our expert technicians will work with you to determine the best method of welding for your product. We have many years of experience and stand behind our work. At Tempco, we have our own in-house precision tooling capabilities including water jets, CNC machining, milling, and jig bores. Tempco’s tool builders are second to none and can help you determine what tooling or fixtures are best used to produce your product and save you costs, without compromising quality or function. We can handle even the most complex metal stamping and/or fabricating jobs. Tempco Manufacturing puts a strong emphasis on value engineering. We encourage engineering collaboration between our client’s engineers and our in-house engineering team. If we can save the client costs without affecting the form, fit, function, or quality the project, we will do so. We are here to add value and assist you with all your needs. To go along with our engineering, we also offer prototyping services. To meet our clients’ needs, Tempco's prototypes are produced at a fast pace through engineering input, quality craftsmanship, and the best equipment available. 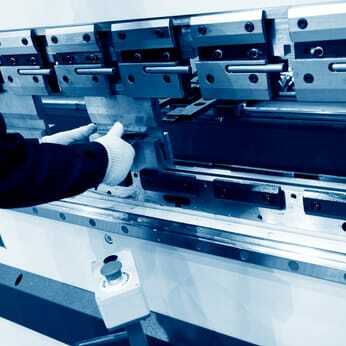 To complement our core production of metal stamping and sheet metal fabrication, and to provide you a turnkey product, Tempco offers value added capabilities consisting of, but not limited to, deburring and cleaning, hardware installation, assemblies, plating, powder coating, anodizing, machining, and more. Need more information? Request a quote today, or contact us to learn more about what makes us the industry’s leading Metal Stamping and Sheet Metal Fabrication Company.